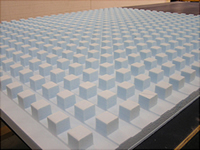 Precision Foam Fabrication, Inc. offers complete foam fabrication services using a wide variety of flexible and rigid foam materials. 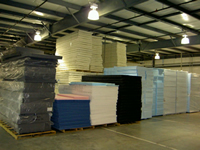 We utilize the latest foam processing technologies and automation to provide innovative, cost effective foam product solutions for any application and all industries. Our design and engineering capabilities enable us to consistently deliver zero defect results within impressive tolerances. Quality is produced to the latest world-class standards. To cite just a few . . .